Dental, Vision & Hearing plans for less than $50 a month! Our dental plan is for everyone ages 18 to 85. This also applies to seniors on Medicare! We have options for dental insurance that include vision and hearing, that are the most affordable. Click below to enroll now and get coverage! Protect your smile and oral health with our Dental Plan. Regularly scheduled checkups on your teeth can be beneficial to you financially and your overall health. As we age, adults tend to get more expensive dental procedures on their teeth so having coverage can help reduce out-of-pocket costs. Semi-Annual exams, cleaning and x-rays. Including x-ray (other than “full mouth”), fillings and extractions. This Dental plan also includes Vision and Hearing benefits. Routine vision exams may help in maintaining good overall health and recognize any problems that can lead vision complications. Get coverage on eye exams, eyeglasses, and contact lenses with this combined plan. Just like dental insurance, you may choose your own eye doctor. Basic eye exam or eye refraction, including the cost of eye glasses or contact lenses. Need a hearing exam? 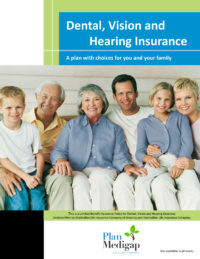 As an aging adult, hearing loss may occur and affect the normal day-to-day activities. This combined plan includes coverage on exams, hearing aids, and essential repairs and supplies that Medicare usually does not cover. Exam, hearing aid and necessary repairs or supplies. 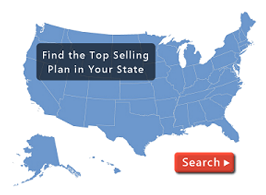 Speak to one of our licensed agents about the Dental, Vision, & Hearing Plans we can offer your! Remember, our services are FREE to you!